The flicks minnow has a similar scale pattern that Carl is looking for. Very nice Flicks! Great colours and great condition. Dave, I have a Cobra that either has a thru wire under belly, or is molded. Did he go from cedar to molded? Notice the bottom one of yours in the underside pic is same. Dave, I'll dig it out and take a pic of underside, it's definitely the same as that orange one of yours. I haven't given it the hot needle treatment, but if you say they're all from cedar, like on the card shown, it must have a thru-wire installed on underside. 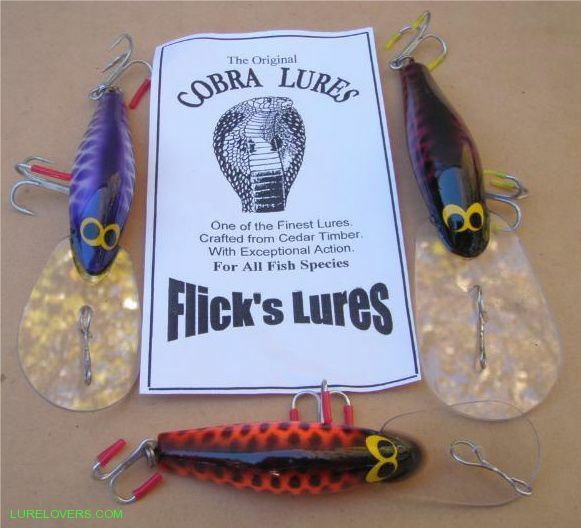 There were some Flicks Cobras that were made from urethane for a short space of time. But I doubt very much he ever made a tiger in urethane. Here is a moulded urethane Cobra on left, and timber Cedar Cobra on Right. Note the seam line on the moulded Cobra particularly underneath, and no glue. The Timber Cobras all had black glue around the bibs. These were both made this side of 2000 I believe. As the eyes are the stickered versions. Yes David, the Cobra had a bunch of copiers, made mainly 'cause Flick was a bit choosy of who he would sell to, and because his lures were so damn effective. and at least one unknown. Murray Sugden, the original maker of Blitz Bagas (timber), sold the name/rights to Smak about 2002/3. They have been molded since. Thanks for this info. Matt, looks like mine is urethane, bugger as I only collect timber. Will trade it when someone shows interest. Have a Blitz Baga, it is superior in finish and is timber. Also I found a Lil' Ripper when passing thru Goodiwindi a few years back, also finish is superior to the Cobra. No worries Tony, the urethane Cobras are rarer than the timber ones, but don't get as much love because they are plastic. so the copys....you mention a few...eg jaysea patriots...were Jayseas actual blatant copies..or are shapes like many lures just similar? not blatant copies as suggested? 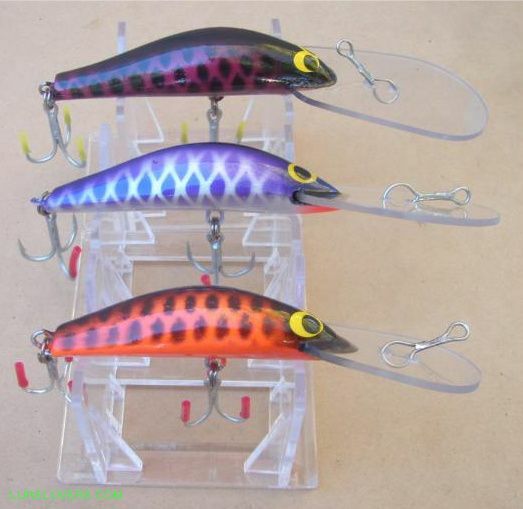 many lures have similiarities..as there's only so many shapes that work..generally these shapes evolve from many hrs at the band saw...offcuts evolving into a new shape...more often than not this happens with no intention to copy...so without causing a debate...who can say what's a blitz copy...every lure is a copy even though it was not intended to be simply cause it similar to another? Maybe Matt should check out a JaySea Patriot and a Flicks together maybe they could be a bit different? Yes the Jaysea was based on the flick's lure but not copied Maybe if Matt had took the time to check the rails on a Patriot he would have seen the difference. 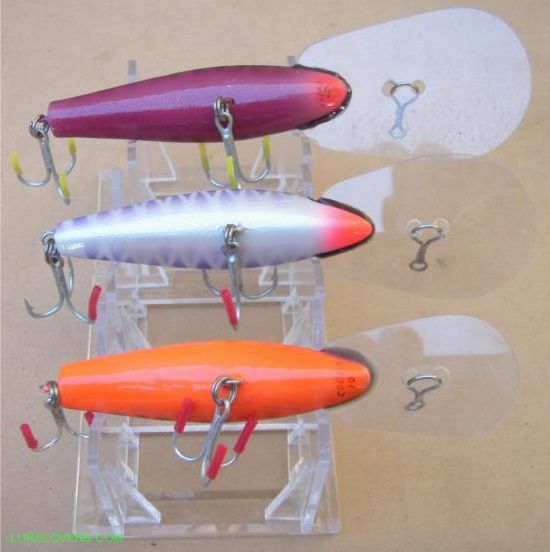 As far as I'm concern the JaySea Patriot has always been the better lure, but hey I'm bias towards my lure, also perhaps the fact that the JaySea Patriot out sold Flick's and the other flicks copies has something to do with it But I tend t0 make allowances for the opinions of whining old lure makers and jig makers. Any lure is only as Good as the person using it! Sorry I probably shouldn't have used the word 'copiers'. I didn't mean to offend. As you say Warren, based on the Flicks Cobra would be better wording. I have even made a lure based on the Cobra myself. 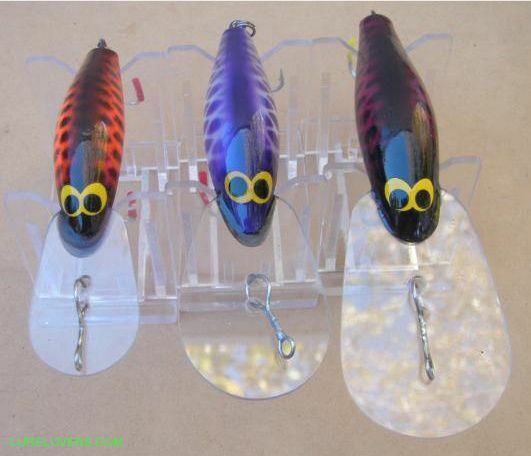 All the lures I mentioned are quite different in many aspects, certainly enough to stand alone as their own creations. But are sometimes confused as Flicks Cobras. There are many lures designs, that have inspired a bunch of makers to make their own version. The Heddon tiger is a classic example with scores of makers, with their own version.